"It's our responsibility to report unclean behavior." 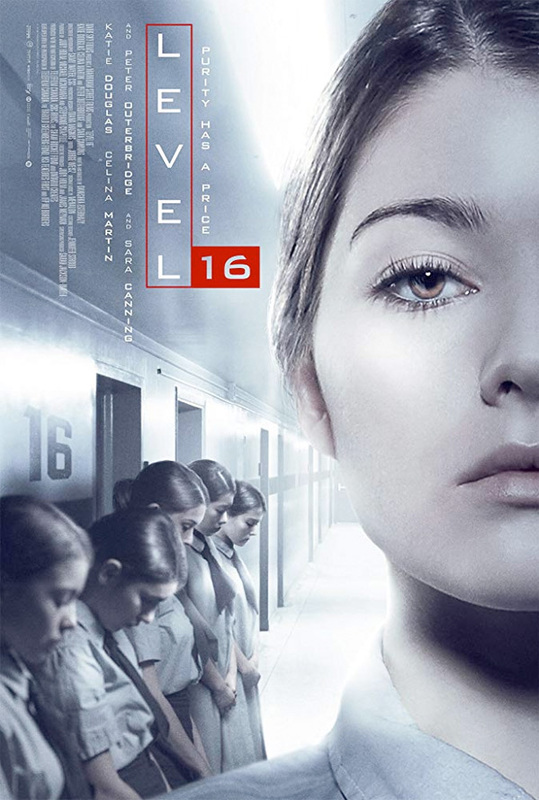 Dark Sky Films has released a full-length official trailer for the dystopian thriller Level 16, which first premiered at Fantastic Fest last year. Sixteen-year-old Vivien is trapped in The Vestalis Academy, a prison-like boarding school, keeping to herself and sticking her neck out for no one. Until she is reunited with Sophia -- the former friend who betrayed her. Together the girls embark on a dangerous search to uncover the horrifying truth behind their imprisonment at this academy. They soon end up running for their lives. Katie Douglas stars as Vivien, along with Celina Martin, Sara Canning, Peter Outerbridge, Amalia Williamson, Kate Vickery, and Kiana Madeira. Looks rather creepy and quite mysterious - a cool, contemporary mix of some intriguing genre ideas. Check it out below. You can still watch the first teaser trailer for Esterhazy's Level 16 here, to see the original festival tease. Sixteen-year-old Vivien (Katie Douglas) is trapped in The Vestalis Academy, a prison-like boarding school, keeping to herself and sticking her neck out for no one. Until she is reunited with Sophia -- the former friend who betrayed her. Together the girls embark on a dangerous search to uncover the horrifying truth behind their imprisonment. Soon running for their lives, the girls must save themselves or die trying. Level 16 is both written and directed by Canadian filmmaker Danishka Esterhazy, of the films Endings, Black Field, Suddenly Ever After, The Trials of Rasputin, and H&G previously, as well as a number of shorts. This premiered at Fantastic Fest last year, and played at the Vancouver Film Festival. Dark Sky Films will release Esterhazy's Level 16 in select theaters + on VOD starting March 1st coming up. Anyone interested in this?